The Colorado Department of Revenue later confirmed that the shop was the subject of an ongoing investigation but declined to share any details. Ownership of the business had been transferred on a local level over the summer, although it’s unclear whether the state recognized the change. Now, the property is for sale, and last week, the local licenses were surrendered to town hall. 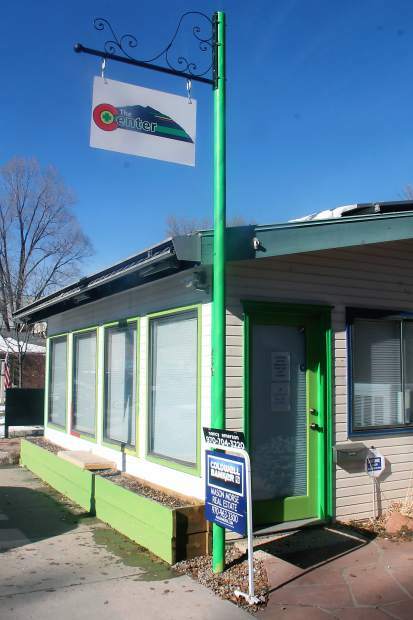 Although the outcome of the investigation is still pending, it appears that The Center has joined the ranks of dispensaries to shut down after a state inspection. Marijuana shop enforcement staffing has increased progressively since the beginning of 2014. Currently, around 55 full-time equivalent jobs allow the Department of Revenue to keep a closer eye on 305 recreational marijuana dispensaries, 375 retail cultivators, 92 infused-product manufacturers and 15 testing facilities as well as 501 medical marijuana dispensaries and 739 medical growers that have been issued licenses. Medical pot was approved in Colorado in 2000, but limited to five patients per caregiver until 2007. Before establishment of the Medical Marijuana Enforcement Division in 2010, medical dispensaries required only a sales tax license to operate. According to Bryant, existing operations were given a grace period to come into compliance with new standards, meaning that actual shutdowns didn’t begin until 2011. “For something that everybody had to have, there’s a lot of political subdivisions that voted it out,” said Garfield County Sheriff Lou Vallario. While most counties chose to either ban or allow medical infrastructure, Garfield County opted to ban dispensaries in unincorporated areas but allow cultivation. Despite the challenges, Sullivan said he understands the state’s need for regulation.